USD is being weakened due to the decisions regarding healthcare reform bill. 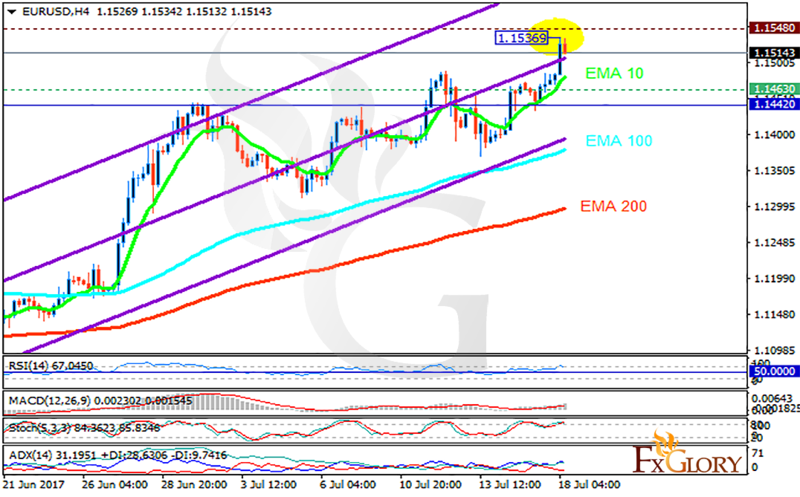 The support rests at 1.14630 with resistance at 1.15480 which both lines are above the weekly pivot point at 1.14420. The EMA of 10 is moving with bullish bias along the ascendant channel and it is above the EMA of 100 and the EMA of 200. The RSI is moving in the overbought area, the Stochastic is showing upward momentum and the MACD indicator is in positive territory. The ADX is showing buy signals. 1.15 level of resistance is too strong for this chart therefore it is time for bears to take the control of the chart and drag the price towards 1.14 area.